In an effort to embroider more flowers (and not only lazy daisy flowers - as I tend to always do) I have decided to start a flower sampler! My first flower was last post - the buttonhole stitch. This time is the straight stitch flower. I love how easy this flower is to stitch. I first drew a small circle to help guide me. Then stitched a few random straight stitches around it. Next, keep straight stitching - almost like doing the satin stitch - keep the stitches close to each other - use different lengths of stitch if you want - it doesn't have to be perfect! 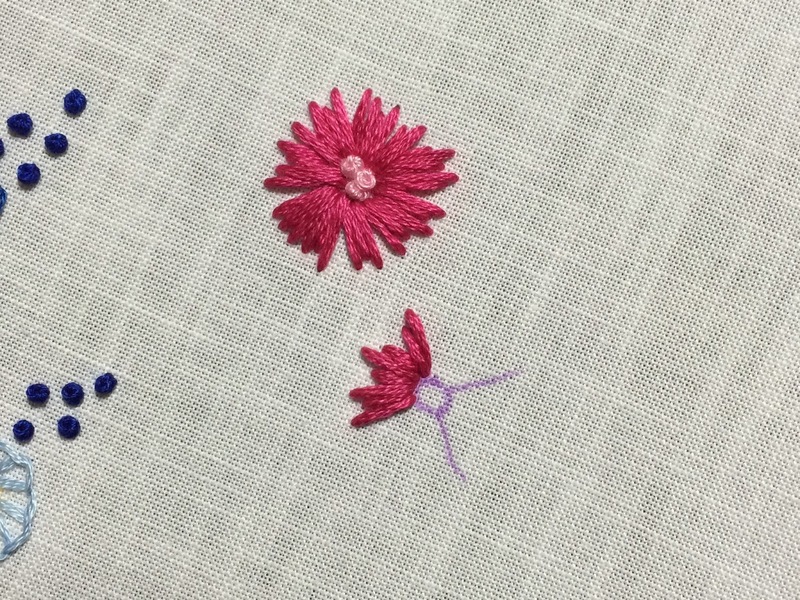 I added a few french knots in the middle and started a second flower to practice more. Added some stems and leaves (detached chain stitch). Here is the start of my sampler! I created a page to keep track of all of the flowers I stitch here. Your embroidery is lovely. 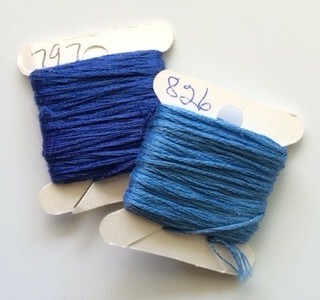 Thanks for sharing your progress on your sampler.